This page states the terms and conditions ("Terms") under which you may use www.medexhco.com (The "Web Site" or "Site"). (Please read this page carefully. If you do not accept the Terms, do not use the Web Site). By using the Web Site, you are indicating your agreement to be bound by the Terms. MEDEX may revise the Terms at any time by posting an update to this page. You should visit this page periodically, because your continued use of the Site after we post changes to the Terms means you accepted the changes. The terms "you" and "user" refer to all individuals and/or entities accessing the Web Site for any reason. 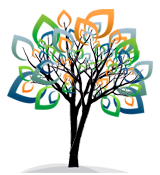 The contents of the Web Site, including, but not limited to, text, graphics, sounds, images, and other material ("Material"), are owned by MEDEX and its Clients and third-party service providers ("Service Providers") and are protected by the United States and foreign intellectual property laws. Unauthorized use of the Material may violate copyright, trademark, and other laws. MEDEX authorizes you to view and download a single copy of the Material on the Web Site solely for your own use, provided you retain all copyright and other proprietary notices contained in the original Material on any copy you make of the Material. You may not sell or modify the Material or reproduce, display, publicly perform, distribute, or otherwise use the Material in any way for any public or commercial purpose. The Material may not be used on any other web site or in a networked computer environment for any purpose. You may not copy or adapt the HTML or other codes that MEDEX uses to generate its pages. This code is also protected by MEDEX's copyright and other intellectual property rights. Security Rules: You may not violate or attempt to violate the security of the Web Site or use the Site to violate the security of other website by any method, including, without limitation: (a) accessing data not intended for you or logging into a server or account which you are not authorized to access, (b) attempting to probe, scan or test the vulnerability of a system or network or to breach security or authentication measures without proper authorization, (c) ---attempting to interfere with service to any user of the Web Site, host or network, including, without limitation, via means of submitting a virus to the Web Site, overloading, "flooding," "spamming," "mail-bombing," or "crashing" the Site, (d) sending unsolicited e-mail, including promotions and/or advertising of products or services, or (e) forging any MEDEX packet header or any part of the header information in any e -mail or newsgroup posting. Violations of system or network security may result in civil or criminal liability. MEDEX may investigate violations of the Terms and may involve and cooperate with law enforcement authorities in prosecuting users who are involved in such violations. This list is not a comprehensive list of all MEDEX's trademarks. The absence of a trademark, product or service name or logo from this list does not constitute a waiver of our trademark or other intellectual property rights concerning that name or logo. should not use our trademarks or logos without prior permission from us; and should not contain content that we might consider distasteful or offensive. TO THE FULLEST EXTENT PERMITTED BY LAW, MEDEX DISCLAIMS ANY WARRANTIES FOR SERVICES OR GOODS PROVIDED OR ADVERTISED ON THE WEB SITE OR RECEIVED THROUGH ANY LINKS PROVIDED ON THE WEB SITE, AS WELL AS FOR ANY INFORMATION OR ADVICE PROVIDED ON THE WEB SITE OR RECEIVED THROUGH ANY LINKS PROVIDED ON THE WEB SITE. THE MAXIMUM AGGREGATE LIABILITY OF MEDEX UNDER ANY CONTRACTUAL, NEGLIGENCE, STRICT LIABILITY, OR OTHER THEORY WILL BE LIMITED EXCLUSIVELY TO THE GREATER OF (I) $1,000 OR (II) A REFUND OF PAYMENTS WE RECEIVED FROM YOU DURING THE THIRTY-DAY PERIOD BEFORE THE DATE THE LIABILITY AROSE. NEITHER WE NOR OUR CLIENTS OR SERVICE PROVIDERS SHALL BE LIABLE FOR (I) ANY INDIRECT, SPECIAL, INCIDENTAL, CONSEQUENTIAL, OR PUNITIVE DAMAGES ARISING OUT OF THE USE OF OR INABILITY TO USE THE WEB SITE OR ANY INFORMATION PROVIDED ON OR THROUGH THE WEB SITE, OR ANY OTHER HYPERLINKED WEB SITE, INCLUDING WITHOUT LIMITATION, ANY LOST PROFITS, BUSINESS INTERRUPTION, LOSS OF PROGRAMS OR OTHER DATA, EVEN IF WE HAVE BEEN ADVISED OF THE POSSIBILITY OF SUCH DAMAGES, OR (II) ANY CLAIM ATTRIBUTABLE TO ERRORS, OMISSIONS, OR OTHER INACCURACIES IN THE WEB SITE, THE MATERIALS OR ANY HYPERLINKED WEB SITE. MEDEX cannot ensure that you will be satisfied with any products or services that you purchase from a third-party site that links to or from MEDEX because these sites are owned and operated by independent retailers. We do not endorse any of the goods or services, nor have we taken any steps to confirm the accuracy or reliability of any of the information contained in such third-party sites. MEDEX does not make any representations or warranties as to the security of any information (including, without limitation, credit card, and other personal information) you might be requested to give any third party, and you hereby irrevocably waive any claim against us with respect to such sites and activity. We strongly encourage you to make whatever investigation you feel necessary or appropriate before proceeding with any online or off-line transaction with any of these third parties. MEDEX reserves the right, at its sole discretion and without liability to you, to immediately terminate your ability to access the Web Site and/or any other service we may provide to you, with or without cause. Without limiting the foregoing, we may terminate your access if we learn you have provided false or misleading information, interfered with other users or the administration of our services, or otherwise not complied with any of the Terms. You shall indemnify and hold harmless MEDEX, it’s Clients, Service Providers, and their respective officers, directors, employees and agents, from and against any claims or demands, including without limitation reasonable legal and accounting fees, alleging or resulting from your use of the Material or your breach of the Terms, including (without limitation) any claim of infringement. MEDEX makes no claims that the Material may be lawfully viewed or downloaded outside of the United States. Access to the Materials may not be legal by certain persons or in certain countries. If you access the Web Site from outside of the United States, you do so at your own risk and are responsible for compliance with the laws of your jurisdiction. The Terms are governed by the internal substantive laws of the State of California, without respect to its conflict of law principles. Jurisdiction of any claims arising under the Terms will lie exclusively with the state or federal courts within the State of California, and you consent to the exclusive personal jurisdiction of such courts if there is a dispute between you and us. You may not institute any action in any form arising out of the use of the Web Site, the Materials or the Terms more than eighteen (18) months after the cause of action has arisen. If any of the Terms is found to be invalid by any court having competent jurisdiction, that invalidity will not effect the validity of the remaining Terms, which will remain in full force and effect. No waiver of any Term will be deemed a further or continuing waiver of such provision or any other provision. Except as expressly provided in any statement by MEDEX on the Web Site, the Terms constitute the entire agreement between you and us with respect to the use of the Web Site. No changes to the Terms may be made except by a revised posting by us on this page, and no waiver of any Term will be effective unless it is in writing and signed by us. 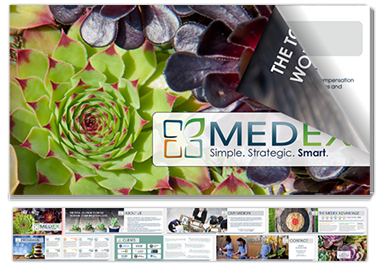 The contents of the MEDEX Site, such as text, graphics, images, information obtained from licensors, and other material contained on the MEDEX Site ("Content") are provided in summary form, are general in nature, and are for informational purposes only. The Content is not intended to be a substitute for professional medical advice, diagnosis, or treatment. Always seek the advice of your physician or other qualified health provider with any questions you may have regarding a medical condition.